Coffee + Comedians + Cars = Jerry Seinfeld’s newest show. ‘Comedians in Cars Getting Coffee’ is exactly what you would expect from Mr. Seinfeld. In each episode, Jerry takes a fellow comedian for a ride in his car to get coffee an grab a bite to eat, all the while having very funny conversations about nothing. The show premiered on July 19 and is a weekly web series. 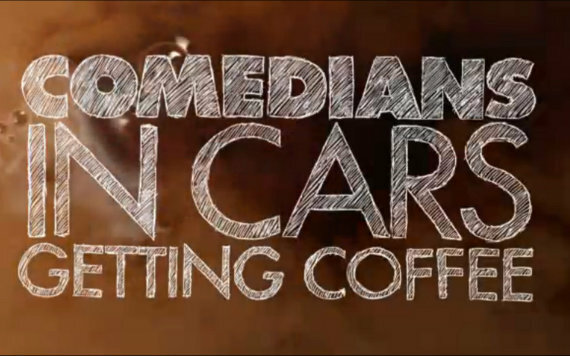 Each episode is about 12 minutes long and is available for viewing on YouTube and comediansincarsgettingcoffee.com. Larry Eats a Pancake – The above episode reunites Jerry & Larry, and is my personal favorite. The only complaint I have about the show is that it’s supported by Crackle and their video services are terrible. I’ve run into trouble several times trying to get the episodes to load, both on YouTube and the show’s website. That said, the video annoyances are worth the difficulty.